Category: Ancient Wisdom, Conspiracy Theories & Alternative History Tags: Conciousness, crystal skull, discovery, healing, insight, maya, Mystery, Time. Mystifying carved skulls made of crystal have been appearing around the world in recent decades. Some are ancient, from Tibet and Central America, but there are modern ones too. Today’s Mayans of Mexico, Nicaragua and Guatemala, who prophesy a new era starting in 2012, include the skulls in their ceremonies. 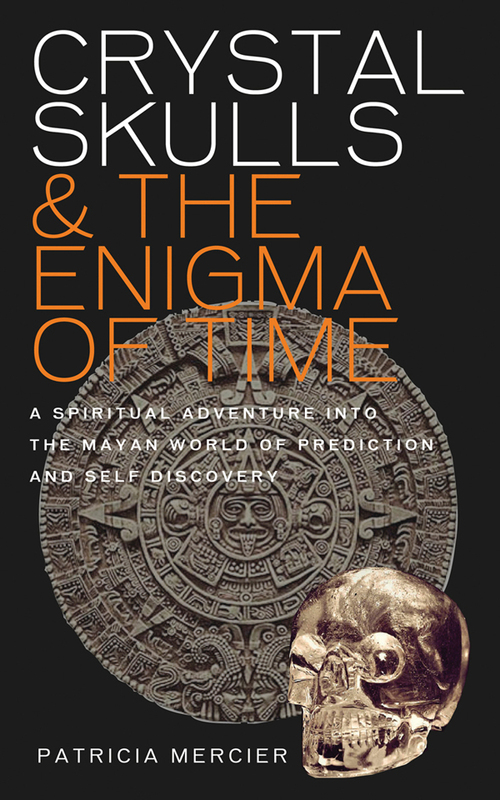 This is the story of the author’s quest to discover the secrets of the skulls, starting in a cave in Spain and progressing to Central America and China. It is a saga of sacred ceremonies, armed holdups, inner journeys, plane flights… and even weirdly cosmological stacks of tortillas. Patricia Mercier explains the T’zolk’in Maya Calendar and the traditions of the Maya people, and connects the skulls with our current global situation. She shows how the skulls can be used for healing and gaining insight, and how they transfer information to each other, operating as a network. We are also introduced to a new super-consciousness that the crystal skulls suggest is a key to the future – a rebirth of humanity when, with the help of the skulls, Homo sapiens could evolve into Homo spiritus.